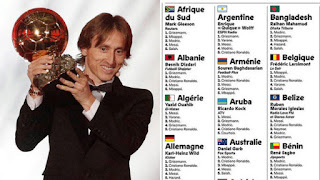 Luka Modric has won the 2018 Ballon d'Or after gathering the most points from the 176 journalists who took part in the vote. 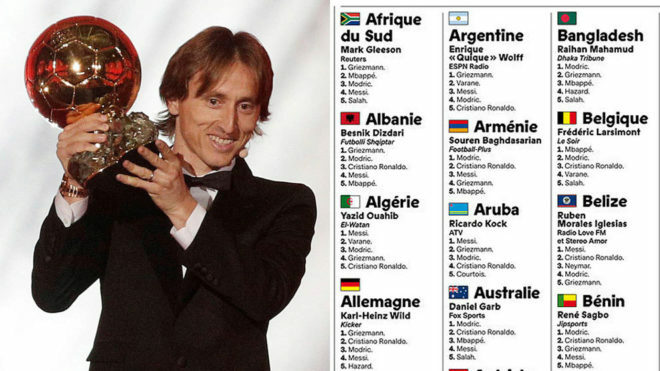 The award is given out each year by France Football and the magazine selected one journalist from each country to give their top five players for the calendar year. Based on their rankings, each player earned six, four, three, two or one points and, once they were all counted, the Real Madrid midfielder came out on top. Here is the list of how each country voted, with the name of the journalist selected for each country and their publication included.